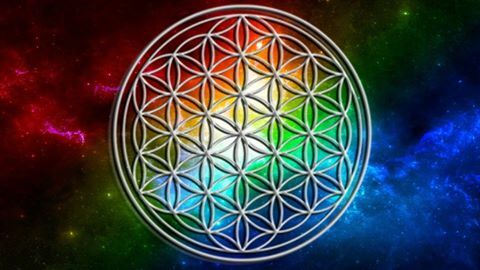 URGENT MESSAGE FOR ALL STARSEEDS, LIGHTWORKERS, TWIN FLAMES, 144K, HEALERS, ELDERS, WISDOM KEEPERS AND THE REST…. This is an urgent message about an upcoming event that is going to have global implications on the side of massive paradigm shifts. There are some important things to know. We’d like to start off by saying that it is only Ego that would resist or condemn this message and we know we have nothing to defend. This message will reach and be received by all who are meant to receive it and the rest will experience what is to come, regardless. A massive energetic shift is coming and we are here to make you aware that as of April 9, 2016 at 11:00 pm PDT and for the following 3 hours, a massive energetic message is being remotely communicated and shown to an innumerable amount of people on Earth. This message is one of love, peace, surrender, forgiveness, healing and powerful vibrations being sent through directly to individuals through their energetic field. This means that large amounts of energy will be moving through you during this time. It will come through you as an amplification system. All individuals in your field of awareness, without realizing how or why, will be receiving this through you. There’s nothing to fear. They won’t know who it’s coming from. If you are surrendered enough, and awake while it’s happening, all you will feel is blissful love, peace, an urge to celebrate. While there are some things we are choosing to keep close to the vest, please be aware that this will be the first of these blasts that will be going out. Certain points in this process have to be very specific and particular but, all those who have already been able to tap into the collective are invited to send your energy also. This is important. Just your emotion, no message attached, no sender needs to be named. Getting yourself into the fullest trance like, meditative and/or psychedelic state possible is important for this to be as effective as possible. Adding powerful music (free of lyrics) is helpful to the process. Once you are in this state, bring yourself to the highest vibrations of positive emotions possible. Forgiveness, peace, love, bliss, laughter, whatever comes up. Laugh, cry, release. Whatever positive emotion comes up must be expressed to the masses. Blast out those feelings and send all that goodness to whomever you can envision. Allow your mind to move swiftly through faces you are directing it to whether you know who they are or not. Please be sure to send it to those who need it the most and remember that this means FORGIVENESS without fear or judgment. Again… FORGIVENESS WITHOUT FEAR OR JUDGEMENT. For everyone reading this that understands, resonates and remembers that this was the time we chose for a reason, between now and April 9, 2016 at 11:00 pm PDT, RELEASE ALL FEARS. RELEASE ALL JUDGMENT. FORGIVE EVERYONE. LOVE EVERYONE. REMEMBER THAT WE ARE ONE. This is so important. We cannot stress to you enough the importance of doing this NOW. You are either working with us or we are healing you. There’s no judgment from us as to which side you stand on but just know that as of that moment in time, you are either one of the healers here completely ready to do this OR you are one of those being healed. It is of no consequence to us. Do not even judge yourself. If you find you are unable to be a part of the healing, you will be able to join us during one of the next waves and we are just as joyful, no matter what. You are already forgiven and loved. We can all send that and just leave it at that. Any positive response received, flow with it and any negative response received, surrender and release it. Equally important is your vision. Please spend time truly imagining life with no limitations and what that looks like for you. Speak it with positive verbiage. In other words “we live in a resources based economy” as opposed to “we live in a world without money”… “we live in a peaceful and safe world” as opposed to “we live in a world with no war or crime”, etc. Find the most empowering way to envision this world that you would like to live in. Visualize it and connect with the energy of it now. Imagine your life with zero limitations, zero resistance, zero conflict, zero lack, zero pain. Visualize and feel your life filled with peace, love, abundance, laughter and the perfect experience. Do you want to live in a hut on the beach? See it, feel it, connect with it. Do you want a mansion? See it, feel it, connect with it. Do you want a cabin in the woods or a farmhouse or to live in an intentional community? See it, feel it, connect with it. Some will be in disbelief about what is happening. There’s no need to convince them. Those of you that agreed upon this moment, this timeline and this event, just surrender and trust. It’s happening and we are ready. Mother Earth, we are sorry. Please forgive us. We love you. Thank you. To the animal kingdom, we are sorry. Please forgive us. We love you. Thank you. To all of the plants and trees, we are sorry. Please forgive us. We love you. Thank you. To all sentient beings we have not mentioned, we are sorry. Please forgive us. We love you. Thank you. To the benevolent beings of all reaches of the universe, we are sorry. Please forgive us. We love you. Thank you. Please join us Now. We are ready and receive you with peace and gratitude. Brothers and sisters, please share this message far and wide. This is the good news prophesied in many books. It does not matter what religion or path you are on. We are One. All perspectives are True and Correct and now, love and unity is the only law. This is the good news that was said would be shared before the end times would come. The end times are transformative, not destructive. There is nothing to fear. This is the moment we have all been waiting for. Those of us that knew it in our hearts all along are being redeemed. The moment of prophecy has arrived and believers and non-believes alike will see it. We assure you. Brothers and sisters, it is time for this message to be shared, spoken, recorded and spread with no author needing credit. This message is humanity’s message. Love and Unity is all there is now. Everything else is a quickly disintegrating illusion. Surrender and allow the Truth to manifest here on Earth. Amen. Amun. Amin. A’ho. So mote it be. And so it is. Your will be done on Earth, as it is in Heaven. Blessed be. Namaste. Ho’oponopono. Ubuntu. Honor and gratitude to each and every One of you.